See the beautiful Northamptonshire countryside from a duck’s eye view in your own canoe. 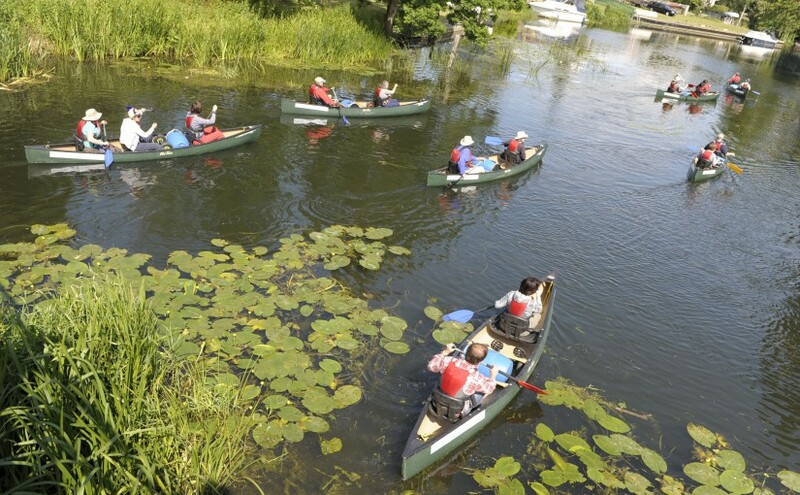 On offer is a voucher for a 2 hour self guided ‘paddle out and back’ trip from Canoe2’s base on the banks of the river Nene, at Ditchford Lock. Limited number of 10 vouchers available. “Canoe2, based in rural East Northamptonshire’s Nene Valley, offers Canoe Hire, Comfy Camping, and Short Breaks on the river Nene. Trips are not accompanied, but no experience necessary, as full safety briefings & paddle demonstrations are given before every trip begins. We pride ourselves on offering the highest levels of service & advice”. The vouchers will all have an expiry date. At a cost, it may be possible to upgrade a voucher to cover one of our 3 or 4-person canoes – please phone to discuss. Absolute minimum age is 5 years old, and there must always be at least one responsible adult (aged 18 or over) in each canoe. When booking, we also discuss appropriate safe ratios of adults to children, and typically, if just one 2-person canoe is booked, we don’t recommend the one adult goes out with a child under 7 or 8. Please phone to discuss. No experience is necessary; but please note that a certain amount of physical effort is required in paddling the canoe, and also in moving the canoe past the locks en-route.